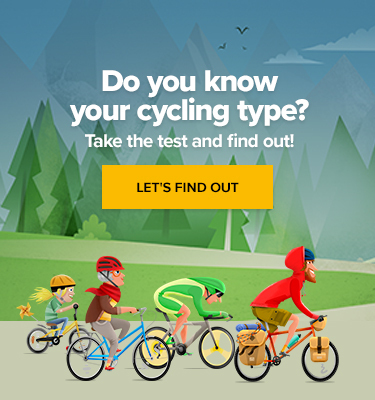 MTB vs. e-MTB: What Is Really the Difference? This matter will be discussed over and over for long time to come. As e-bikes are still a novelty to lots of us, it’s only natural that we kind of distrust them. If you are a fan of e-bikes and ride them yourself, here are some arguments you can use when you happen to face criticism. Who is the target group? Twice as many people can enjoy riding now, as e-bikes can be ridden even by the less fit. Or should couch potatoes rather stay at home? But maybe it’s not just couch potatoes. It’s our parents or grandparents whose strength has faded a bit. E-bikes enable them to exercise, get some fresh air, or enjoy an active vacation instead of a passive one. Interview: What Kind of People E-Bikers Really Are? It’s your significant other who would otherwise be afraid they wouldn’t be able to keep up with you, but e-MTB gives them confidence and joy of riding. While your partner had never considered accompanying you on your rides until recently, having an e-MTB now, they delight in planning cycling trips for the two of you. But it can also be you if you get hurt. Anyone who’s ever experienced a leg injury, knows all too well how hard it is to get back in the saddle and how much time it takes. E-bikes make it possible to limber up stiff joints that had to be immobilized and were idle for a long time. You just never know. It’s your workmates who would commute on public transport or by car but have discovered an eco-friendly means of transport they enjoy. It’s people like you who for whatever reason, maybe because of their family responsibilities, don’t have as much time for cycling as you do or as much as they wish they had. E-bikes enable them to cover twice as many kilometres as they would on a classic bike, spreading out the territory they ride in. Thanks to an e-MTB, they don’t have to circle around the same old route near their home over and over again. The first one is quite logical. Riding faster enables you to cover greater distance in the same amount of time. If you have two hours to train every day, an e-bike won’t earn more time for your training. But you’ll experience more fun during those two hours. You’ll be pedalling just as hard as you would on a classic bike. The only difference will be that instead of covering 30 kilometres, you’ll cover 50. Another argument is something you’ll only understand once you try riding an e-MTB. It’s closely related to the criticism freeriders and downhill bikers often face. They often get reproached for just effortlessly going downhill. But anyone who’s ever ridden a downhill trail knows how tough it is. Regardless of technical skills, an untrained person would hardly be able to go down a trail without stopping several times to rest their arms, shoulders and back – the parts that get extremely strained. Thanks to the motor, e-bikers have the very same experience even when riding on a flat surface or uphill. While riding an e-MTB may reduce the strain of the legs, other muscle groups get engaged much more. 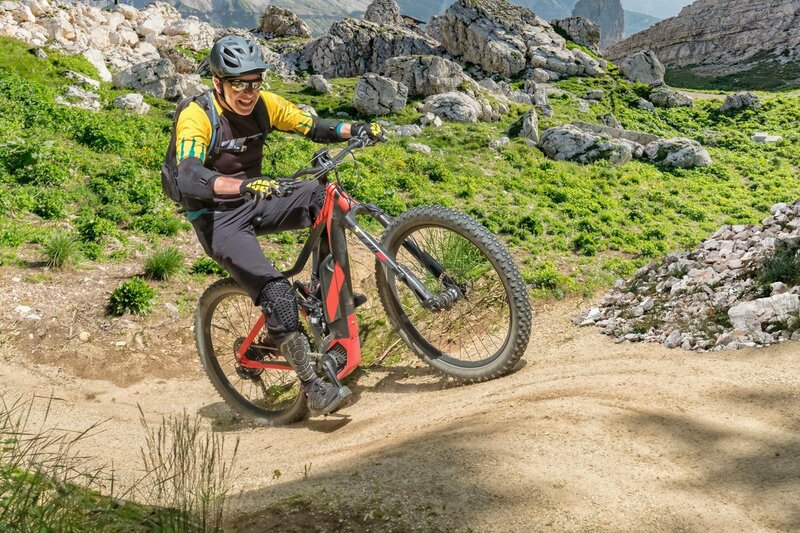 The tests have shown that the average pedalling rate of a person riding an e-MTB is 5% higher, with 40% lower power output. When riding an e-MTB, change in heartbeat occurs much less frequently than when you do all the uphill pedalling yourself. This result indicates two things: Yes, riding an e-bike is less strenuous than riding a classic bike. On the other hand, this makes e-bikes a reasonable alternative for riders with health problems that prevent them from riding a classic bike, such as knee pain. From a purely scientific point of view, figures have shown that riding an e-MTB is less strenuous than riding a classic bike, and hence it could be considered a kind of cheating. But who do we cheat on? Ourselves? Just because we enjoy more fun in just the same amount of time? Besides, another important aspect is the level of assistance you set on your e-bike. If you choose Turbo Mode, your power output when going uphill will increase. Paradoxically, in such case an e-biker works harder than a regular biker going uphill at their comfort heart rate. As a result, riding an e-MTB may turn into a tough training – it all depends on you riding style. Let us know about your own experience with e-MTBs. We will be happy to share it with our readers. Italian Designer with a Funny Conclusion. It Seems People Just Aren’t Able to Draw a Bike!